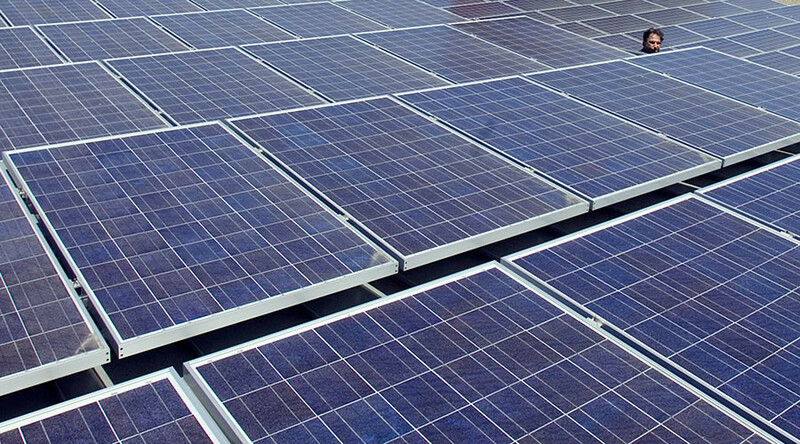 The US has informed the World Trade Organization (WTO) it is considering emergency “safeguard” tariffs on solar cells, after a leading manufacturer filed for bankruptcy citing unfair competition from China and India. Accusing international competitors of causing irreparable harm to US-based Suniva and SolarWorld Americas, the US International Trade Commission (ITC) notified the WTO’s 163 members on Monday that it could levy “safeguard” tariffs. Under the WTO’s rules, emergency tariffs can be placed on particular products that have caused or threaten to cause “significant injury” to domestic industries. Suniva filed for Chapter 11 bankruptcy in April, as has SolarWorld America’s parent company in Germany. The US subsidiary has filed papers informing the workers it could shut down its manufacturing facility in Oregon within the next month or two. The ITC said it had accepted a petition from Suniva for global safeguard relief from imports of crystalline silicon (c-Si) solar cells. The commission will make a determination of injury by September 22 and report to President Donald Trump by November 13. Suniva’s petition says the annual US imports of c-Si cells and modules rose by nearly 63 percent between 2012 and 2016, to $8.3 billion, while 1,200 US manufacturing jobs have been lost and wages have fallen by 27 percent in the same period. Global demand for solar power cells has increased explosively for the past five years, according to Reuters. As production expanded, prices dropped, favoring major manufacturers in the US, China and India. US manufacturers claim that imports prevented them from benefitting from this growth in demand, and were “a substantial cause of the serious injury that the domestic industry has experienced,” according to Suniva’s petition. US solar cell plants went from running at 81.7 percent of capacity in 2014 to just 28.9 percent in 2016, the filing said. Last September, the WHO ruled that India illegally discriminated against US solar exports. India filed its own WTO complaint, alleging that solar subsidies in eight US states amounted to unfair competition.